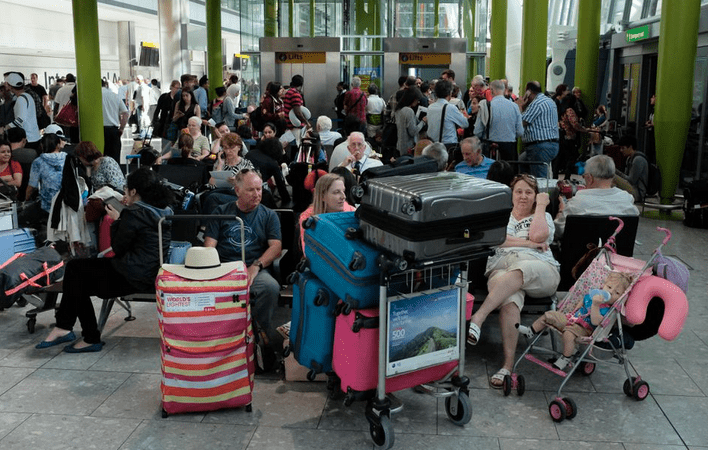 A huge IT meltdown at British Airways caused the airline to cancel all flights out of London’s Heathrow and Gatwick airports Saturday, during one of Britain’s busiest holiday weekends. “We are working hard to get our customers who were due to fly today onto the next available flights over the course of the rest of the weekend,” the airline said in an update on its website Saturday afternoon local time, adding that people who can’t get a flight will get a full refund. The company didn’t respond to a request for more information. BA said in the update that the “major IT system failure” had also affected its call centers and website. The airline said some flight disruptions might continue into Sunday but that it expects most long-distance flights set to land in London tomorrow to arrive as scheduled.